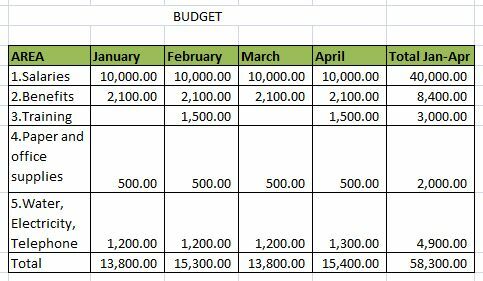 Excel presents many pre-established functions which are useful not only for simple mathematical operations, but for statistical, financial, and other operations as well. 1) Click on the Formulas tab on the toolbar. 3) For example, if you need to use a function under Math & Trig, click on it to open up the options. 1) We click on the cell where we want to see the result. 2) We write the function "Average" and we shade the area we want to calculate. 3) Lets see the formula bar, which shows the operations we are performing.